Prof. Dr. Frank Hendrickx is professor of labour law at the Faculty of Law of the University of Leuven (Belgium). He is also part-time professor of European labour law at Tilburg Law School, hosted at the ReflecT Institute. Professor Hendrickx has specialized in European and comparative labour law. An additional specialization is sports law, with a focus on the legal status of athletes, European sports law and doping. 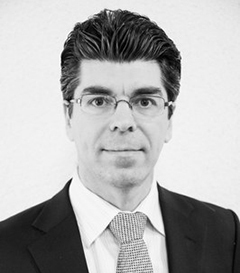 Frank Hendrickx has published numerous articles and books and regularly advises governments, international institutions and private organisations in the area of labour law as well as in sports law. He is the editor-in-chief of the European Labour Law Journal and General Editor of the International Encyclopaedia of Laws. He is president of the Belgian Association for Labour Law and Social Security Law, and Secretary of the Belgian Association for Industrial. Game Changers in Labour Law is pursued in the spirit and with the methods of the late Emeritus Professor Roger Blanpain. Read this book to know all the details.